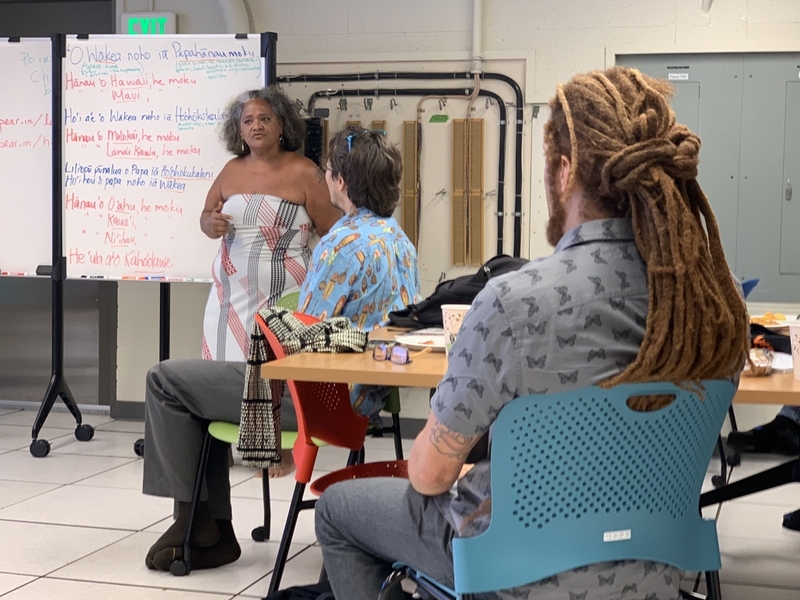 The Laboratory for Advanced Visualization and Applications (LAVA), the Hawaii Data Science Institute and the Academy for Creative Media System jointly hosted Old Ways New’s 1st workshop in the world bringing Indigenous researchers into discussions surrounding the future of Artificial Intelligence. The workshop focused on how to progress the conceptual theory and practice of next level of A.I. The key question the workshop will address is this: from an Indigenous perspective, what should our relationship with A.I. be? 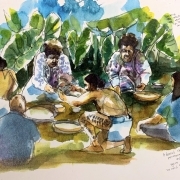 Related questions include: how can Indigenous epistemologies and ontologies contribute to the global conversation regarding society and A.I.? 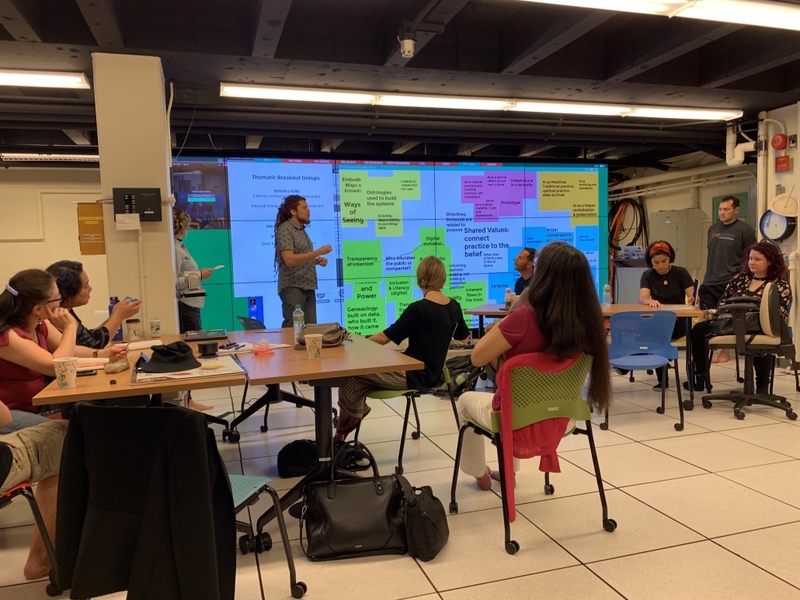 How do we broaden discussions regarding the role of technology in society beyond the largely culturally homogeneous research labs and Silicon Valley startup culture? How do we imagine a future with A.I. that contributes to the flourishing of all humans and non-humans? 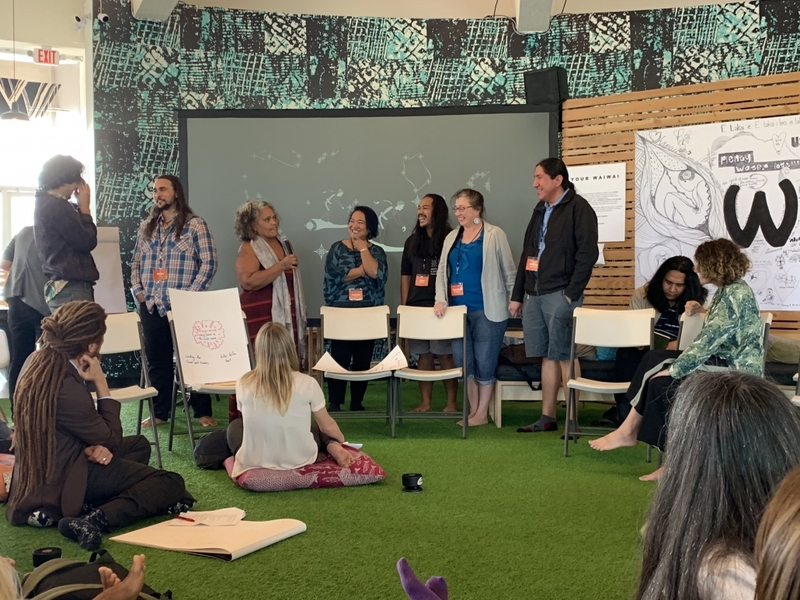 The first workshop took place March 1 – 2, 2019, at the Hawaii Data Science Institute (HI-DSI) and brought together approximately twenty mainly Indigenous scholars and artists to discuss the questions above. 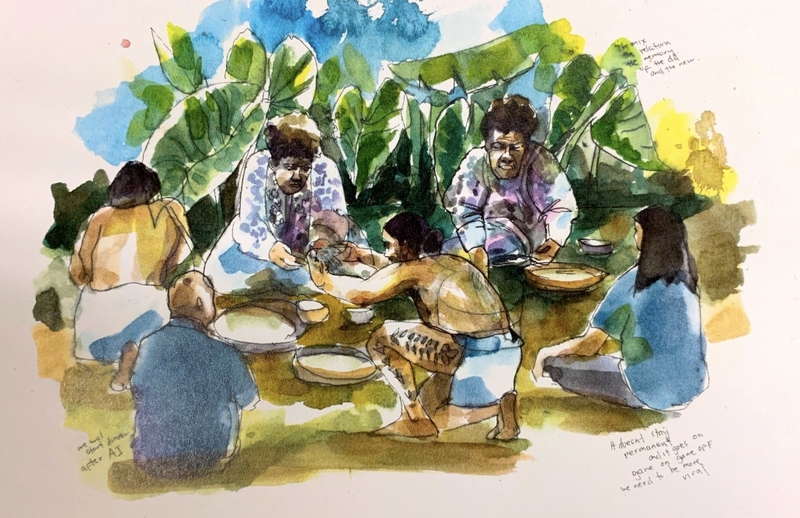 A subset of the first workshop attendees will participate in a writing workshop in May, 2019 (also at HI-DSI) to compose a white paper capturing the outcomes of these conversations.